The Christian Journal is a non-denominational nonprofit publication dedicated to sharing the Gospel of Jesus Christ. It is printed monthly from Medford, Oregon and distributed to churches, businesses and retail locations in Southern Oregon and Northern California. The Christian Journal welcomes press releases and news of interest that is relevant to our readership. All unsolicited material is subject to the approval of the publishers and not returned. Please see the Themes and Deadlines page for issue themes, deadlines, format and delivery specifications. Viewpoints expressed in The Christian Journal are those of the respective writers, and are not necessarily held by the publishers. Sponsorship (advertising) in The Christian Journal is open to anyone desiring to reach the Christian community. Reasonable effort is made to screen potential sponsors (advertisers), but no endorsement of the publishers is implied or should be inferred. The publishers can accept no responsibility for the products or services offered through sponsors (advertisements). The publisher reserves the right to refuse any sponsorships (advertising). 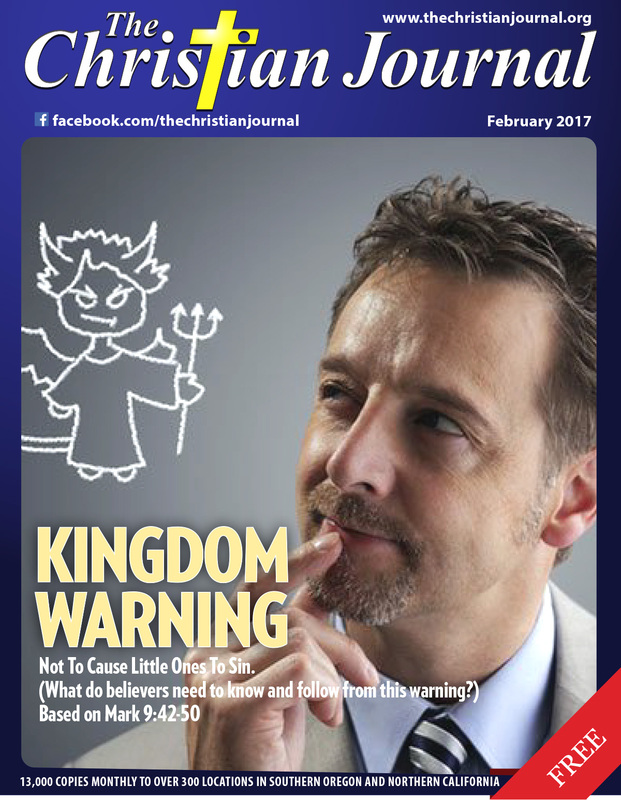 The Christian Journal is a member of the Evangelical Press Association and the Christian Newspaper Association.